We've got some advice for the best lures to catch bass. While you're planning your next big fishing trip, you're probably thinking about what you need to bring in your tackle box. You'll want to make sure you're stocking up on the best gear to reel in the most (and hopefully biggest) bass. Let's start with the lures. Here are the best to bring this fishing season. Smaller spinnerbaits tend to see more strikes than the larger offerings, which is why the Booyah Pond Magic is a great option. Weighing in at 3/16 ounces, it comes in eight different colors and is designed with a willow blade that has the desired vibration and flash to draw attention of your desired bass. For a larger spinner that will hold up against snags and bigger fish, try the Strike King Double Willow Tour Grade Spinnerbait. The design of the lure has a back-up hook design for those bass mouths that don't catch the main hook when attacking the reflective lure. The main hook is covered by a rubber skirt, although the bass are ideally distracted by the flashing of the blade and movement of the lure. 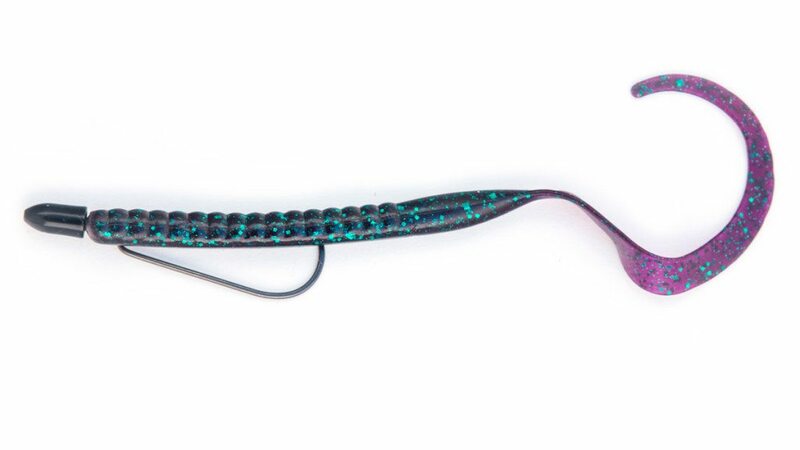 This lure appeals to the aggressive nature of the bass, as it tends to stir all of the senses -- sight, sound and tangible vibrations on the water. Most bass pros would agree that the number one way to catch a bass is with a rubber worm. Although, the argument is made that it is not the best way to catch a lot at one time. Worm fishing requires a lot of attention to the rod to allow you to set the hook properly and catch your bass. Keep your line tight with these and feel for the bite. The appeal of a Texas rig is that it's weedless, has the ability to have a hidden hook tip and enables the flexibility of the plastic to move about naturally. Due to its tendency to appear so lifelike, the bass is more likely to swallow something that looks and feels like their real food. They come in many shapes and sizes to allow you to pick the best option for the area and time of year that you are fishing. To use this rig, insert the hook tip through the worm's nose and push through until the worm is covering the hook eye. Adjust the worm so that the hook is going through the worm in a straight line and position the hook to face the worm's belly. Crankbaits come in various sizes, shapes, weights and running depths. They are useful for covering a lot of water in a short amount of time. As opposed to other bass lures, making the right crankbait choice, according to your fishing water's depth, has an impact on determining fishing success. As you pull the lure across the water, the violent shaking motion draws the bass's attention. Some have beads installed within them that can drive even the laziest bass wild. Testing out different colors and weights may take a couple tries, but once you got the right recipe for your fishing hole, you'll be plucking them out of the water. If you are not getting a bite, try randomly jerking the rod tip to add some natural erratic movement to the lure. We recommend the 1 1?2-inch Ultra Light Crank that can go as far as 8-feet deep. For something that won't get hung up in the weeds, we recommend a lipless crankbait, such as the Lucky Craft LV RTO 150 in one of its six color offerings.